At least 1,798 flights have already been canceled as a result of the strike, which have affected greater than 215,000 passengers and have cost Lufthansa as much as nine million dollars per day, according to multiple sources. The pilots are attempting to pressure management of Lufthansa to concede to their demands in an ongoing dispute over pay. The good news — so to speak — is that the extension of the strike is expected to only affect short-haul flights on Friday, November 25, 2016; but this most likely means more cancellations of flights. Strike of the Pilots union “Vereinigung Cockpit” (VC) for Lufthansa flights from Germany on all continental and intercontinental routes between 23 November 2016 00:01 and 24 November 23:29 German local time. The pilots union Cockpit (VC) has called for a strike for Lufthansa flights from Germany on all continental and intercontinental routes between 23 November 2016 00:01 and 24 November 2016 23:59 German local time. Lufthansa sincerely apologizes to its passengers for the inconvenience caused by the strike of the pilots union “Vereinigung Cockpit” and will do everything possible to keep the impact as low as possible. A special flight schedule for 24 November 2016 has been enabled. If your flight has been canceled as a result of the strike, you can simply either rebook your flight free of charge or request a refund under My bookings. If your flight has not been canceled and you are scheduled to be a passenger on a flight operated by Lufthansa, SWISS, Austrian Airlines or Brussels Airlines for flights on November 23 or 24, 2016 — this may most likely be extended to November 25 — from, to or via Frankfurt, Munich or Düsseldorf, you can rebook once free of charge under My bookings. If you were scheduled to travel within Germany and your flight was canceled, you have the option to use the trains of Deutsche Bahn by converting your flight ticket into a train ticket here. If converting your ticket is not possible due to time constraints, Lufthansa recommends that you purchase a regular train ticket. In order for your baggage to be delivered, please complete the Lufthansa Baggage Form or contact the Lufthansa baggage tracing counter as soon as you arrive at your destination. 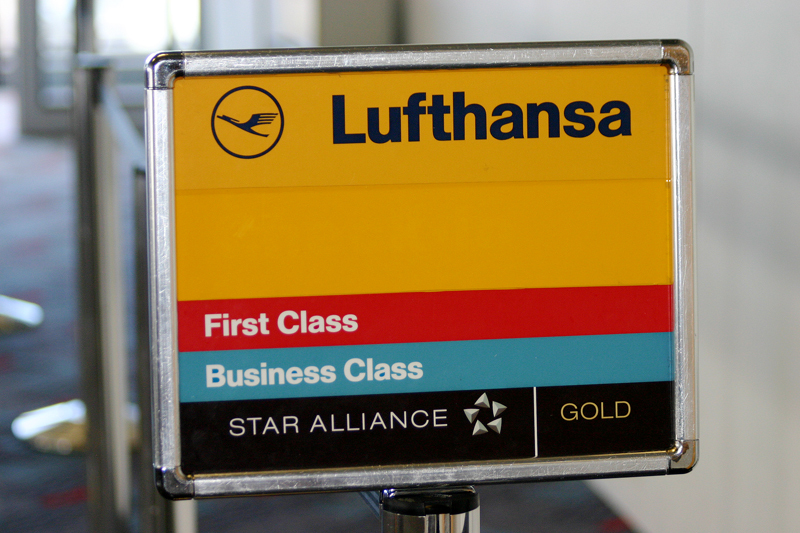 For status updates on your missing baggage, please go to Lufthansa baggage tracing. Additional information pertaining to liability for lost luggage is found here. If you need to contact Lufthansa via telephone in case you are not able to use the aforementioned self-service options, please contact the service center free of charge at 0800 850 60 70 or +49 69 86 799 799, or one of the local Lufthansa telephone numbers. At least 4,000 hotel rooms have been reserved by Lufthansa for stranded passengers; so contact Lufthansa if you are a stranded passenger. Unfortunately, strikes by employees of Lufthansa are not unusual. Strikes were announced in February of 2010 by pilots for four days; and again March of 2010 as two of many examples. I have to agree with Dennis on this one; but unfortunately, causing inconvenience to innocent customers and costing an employer millions of dollars is what seems to grab the most attention — especially when a strike occurs during one of the busier times of the year in commercial aviation. Let us hope that a mutually equitable solution is reached by all parties concerned as soon as possible. In the meantime, if you are affected by the strike, ensure that you keep yourself updated to minimize your inconvenience and travel disruption as much as possible.